Hyper Island student Virginie dedicates this series of articles to creativity, in particular how to strengthen our creativity when we collaborate with others. This series is part of an ongoing process that aims to uncover the mystery of creativity. In 2016, an article in the New York Times claimed that ‘teams are now the fundamental unit of an organization.’ Successful teamwork is highly rewarded yet incredibly challenging. Over the past year or so, I have been working with many different teams at Hyper Island and during that time I began questioning my belief in the myth of the lone genius. Why did I feel that some of my teams were more innovative and creative than others? So, I began wondering how teams can unleash their creative potential. Here are some of my suggestions. According to Chris Lewis in his book Too Fast to ThinkToo Fast to Think, one thing that inhibits creativity is fear. Fear of failure, fear of not being skilled enough or fear of being judged by others. Fear can be so overwhelming, it can damage people’s confidence and by extension their creativity. It can be especially inhibiting when in a team surrounded by other people. So, what can be done? Each and every group will find their unique ways to minimize fears and create a safe environment. Teams need to establish processes taking care of both the individual and the team itself. It is important to nurture individuals so they can grow and feel confident both in themselves and within the team. In all my previous teams, we made a point of expressing our needs regarding teamwork and taking into account each and every member’s fears, worries or requests by creating a process stemming from those. By providing a structure on how to work as a team, communication, and decision-making team members will see their needs being taken care of. This enhances confidence and creativity. Another important aspect of building a process is creating common goals. By creating a goal for the team, the focus shifts from the individual towards the team. When we all work towards the same goal, we are more likely to contribute with our personal thoughts and forget about our personal agendas. By aligning on common goals, we can become more creative team players. Working with people who are very different from you is not an easy task. They may be different in their skills, personalities, but also in their ways of working, thinking and finding ideas. Yet, some of my best teamwork experiences have been with people so different from me that I never thought it would work at first. I find that their different personalities energize and challenge me by forcing me to consider dramatically different perspectives. Keith Sawyer in his book Group Genius writes that: ‘diversity makes teams more creative because the friction that results from multiple opinions drives the team towards more original and more complex work.’ And that’s what teamwork is about, challenging our own thoughts and ideas to create something together. I think best when on my own, not being interrupted or distracted by other people. The teams in which I felt the most valued allowed me to work my own way. Teamwork doesn’t mean you have to sit with the whole team all the time, solo work can also be beneficial. Andre Walton, a professor of creativity and entrepreneurship writing for the Harvard Business Review claims that ‘in our everyday work environments, this ability to find personal time and space to think is crucial to enabling creative thought.’ This goes for both extroverts and introverts: alone time can help us strengthen our own ideas and think deeply about our personal take on the problem at hand. Walton suggests a way of working in a brainstorming situation by having all team members think about the task on their own, physically away from all the other team members, then come back and share their input. Then it is up to the whole team to build upon those ideas and be open to discussion. And that’s the important part, building upon someone else’s idea is key to creative teamwork, otherwise, we would just be working alongside others. It’s up to us to find our own ways of working, whether being flexible with schedules or leaving out ideation methods which don’t suit us. I have understood that teamwork is about building upon others’ ideas to create something more innovative, to come up with new ideas that expand previous ideas. As Sawyer says: ‘when we collaborate, creativity unfolds across people; the sparks fly faster, and the whole is greater than the sum of its parts.’ By creating a process and culture and working with people unlike me I have been challenged, thought differently about certain issues and most of all learnt from others. It’s all about finding what works for you and your team. In the next part of the series, Virginie will be discussing the ways in which we can understand our individual needs for creative work. Check-out Virginie's portfolio here for more of her amazing work. Read her first post here. 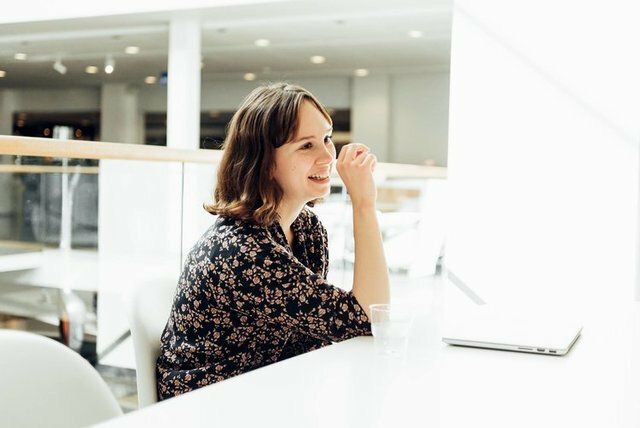 Interested in studying a full-time program at Hyper Island? Our next intake is August 2018. You can apply all year round if you reside outside of the Nordic countries. Applications for Nordic students (Sweden, Finland, Norway, Denmark) are open until April 5th 2018.